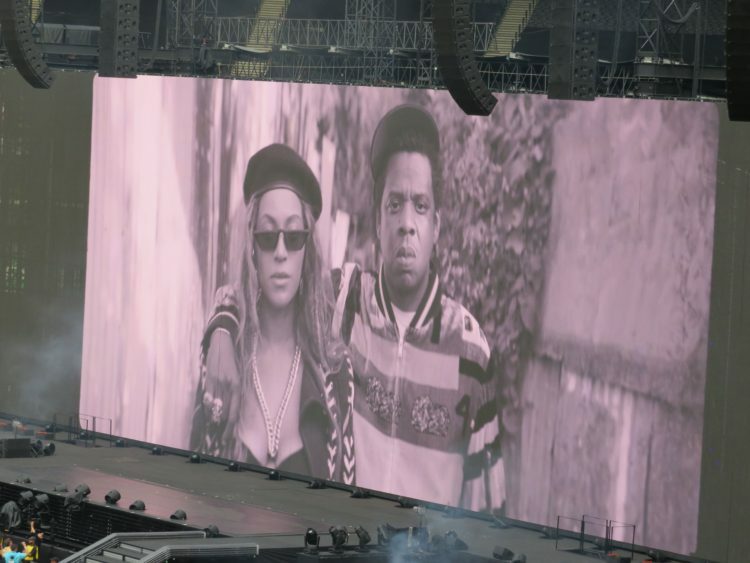 When I learnt that JAY-Z and Beyonce were doing a joint stadium tour called On The Run, and I saw the trailers for show, I was beyond excited! 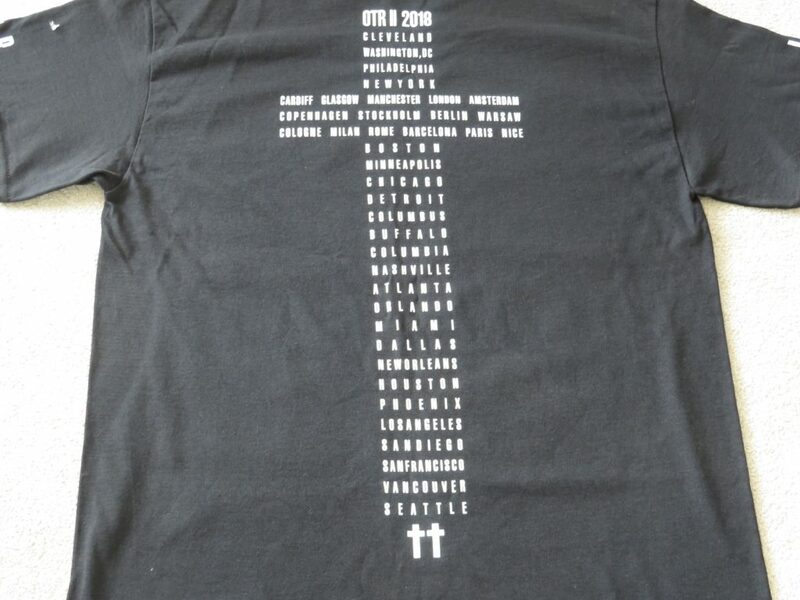 All of the tour dates were in north America, I hoped and waited for the announcement that they were bring the tour to the UK, but unfortunately that didn’t happen. That was in 2014 and since then Beyonce has released her album Lemonade and had a Formation Stadium tour where I saw her at Wembley Stadium. JAY-Z released his album 4:44 and Beyonce gave birth to their twins Sir and Rumi. Then came the announcement I had being waiting for, On The Run II, and this time it was a European and North American tour with the first dates of the tour in the UK. I was so thrilled! These were one set of tickets that I just had to have and unlike 1 Xtra Live in November and Kendrick Lamar in February, where I had tickets but due other things that came up which I was unable to go, nothing was going to stop me attending this concert. I had waited 4 years for this! 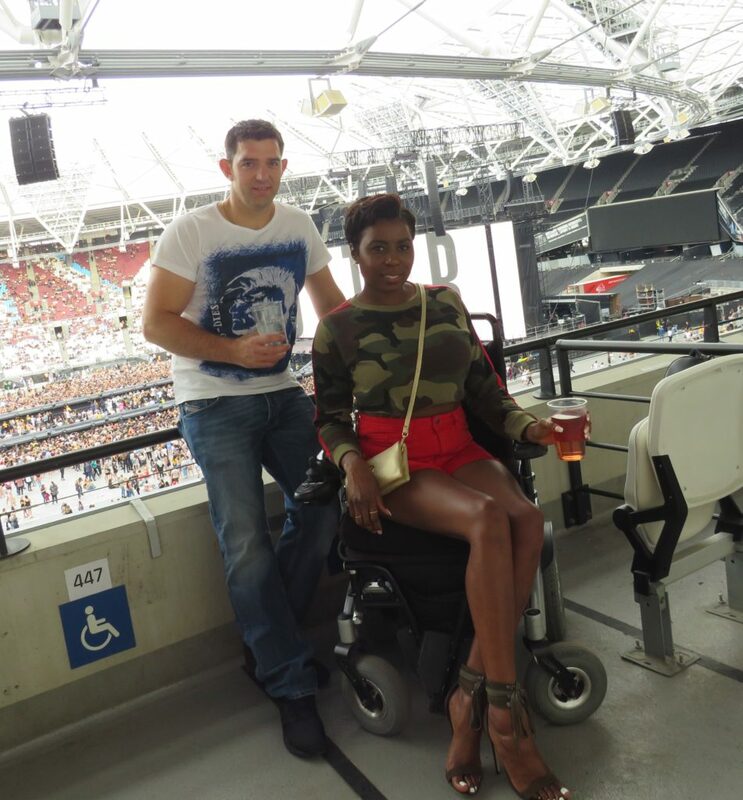 The concert was held at the Queen Elizabeth Stadium (the former Olympic Stadium) the new home of West Ham United Football Club. To be honest it felt a little weird going into the stadium because I am not a West Ham fan, but as soon as I heard the music from the DJ warming up the crowd I quickly forgot all about it. 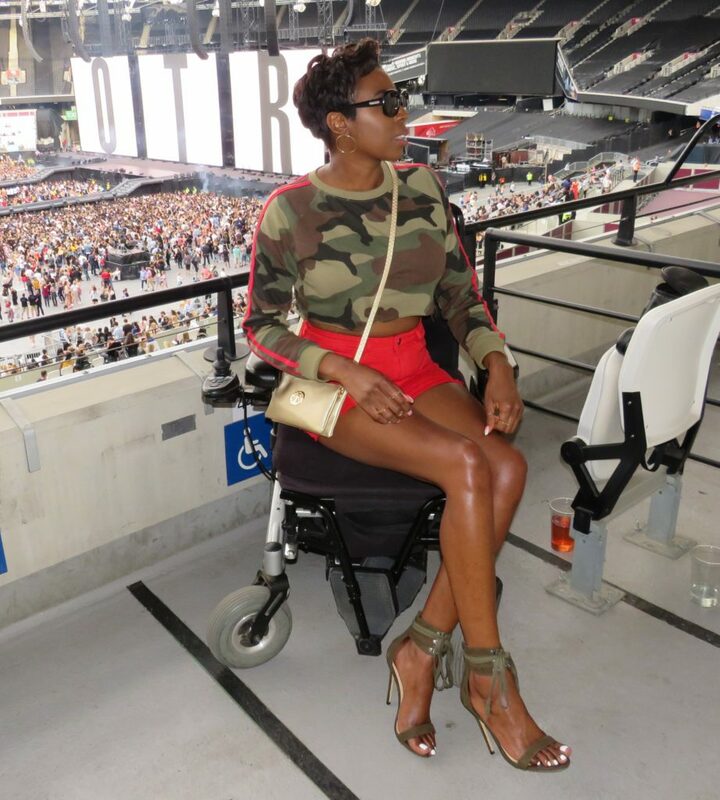 The staff at the stadium were very welcoming & helpful and the accessible area was spacious with a great view of the stage for this sold at show. 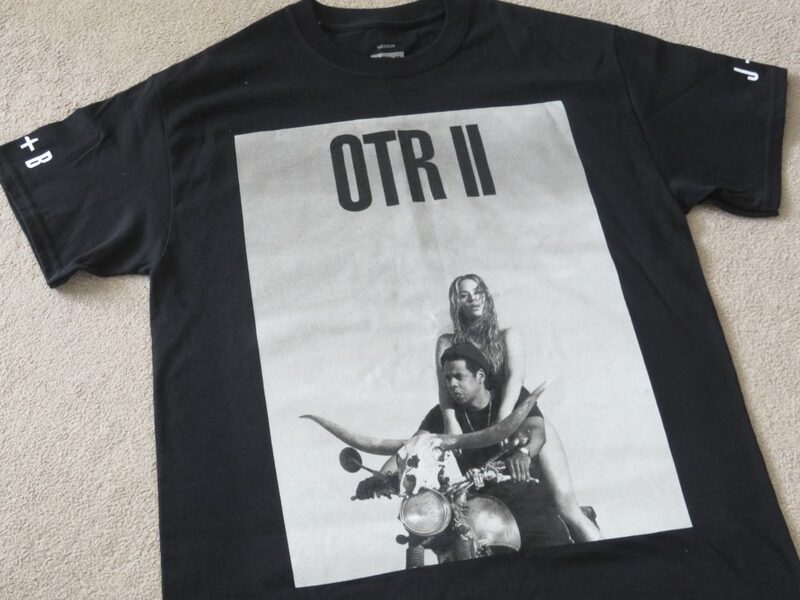 When JAY-Z and Beyonce took to the stage, holding hands, the crowd crazy and to be truthful so did I. The day and the time had finally arrived to see this couple in concert. 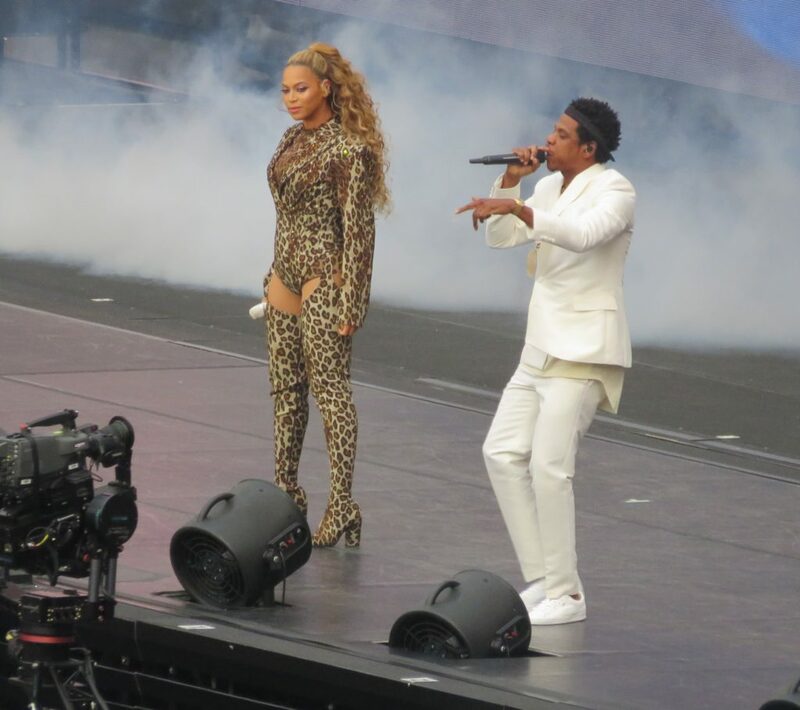 They opened the show with their joint hits Magna Carta Holy Grail, On The Run pt 2, 03 Bonnie & Clyde and Drunk in Love. 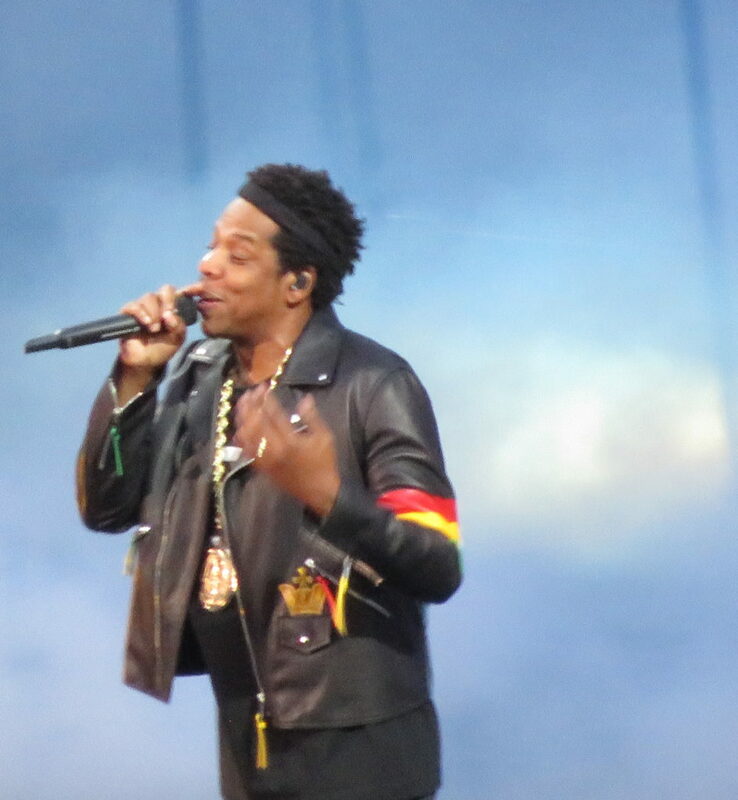 Then Beyonce left the stage for her husband to perform a couple of his solo hits On To The Next One and FuckWithMeYouknowIGotIt before her return to the stage, then JAY-Z left his wife to perform her song Flawless the remix. 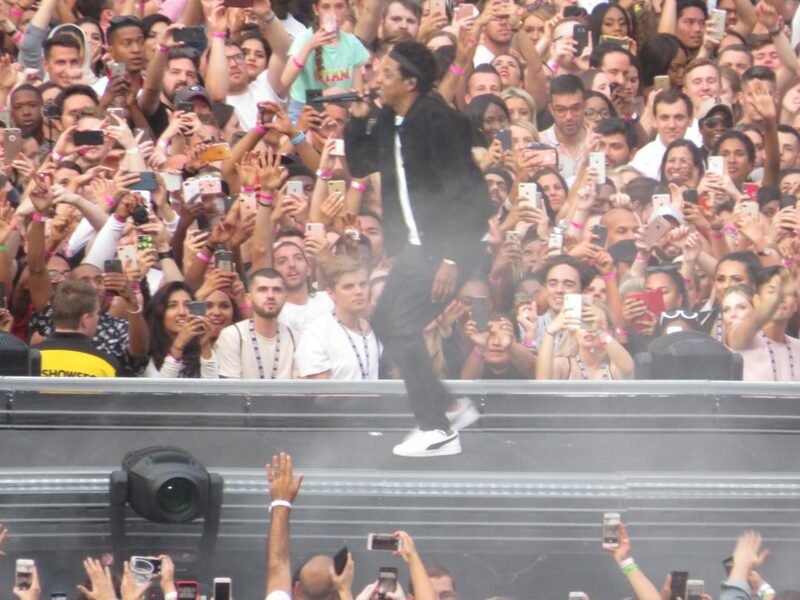 Throughout the concert both JAY-Z and Beyonce would leave the stage for the other to perform their solo hit songs, like JAY-Z’s Big Pimpin, N in Paris, 99 Problems, Public Service Announcement and Beyonce perform songs like Formation, Freedom, Naughty Girl and Run The World Girls to name a few. There where also some surprize “mash-ups” of songs like JAY-Z’s Clique and Beyonce’s Diva which was performed by the two of them. 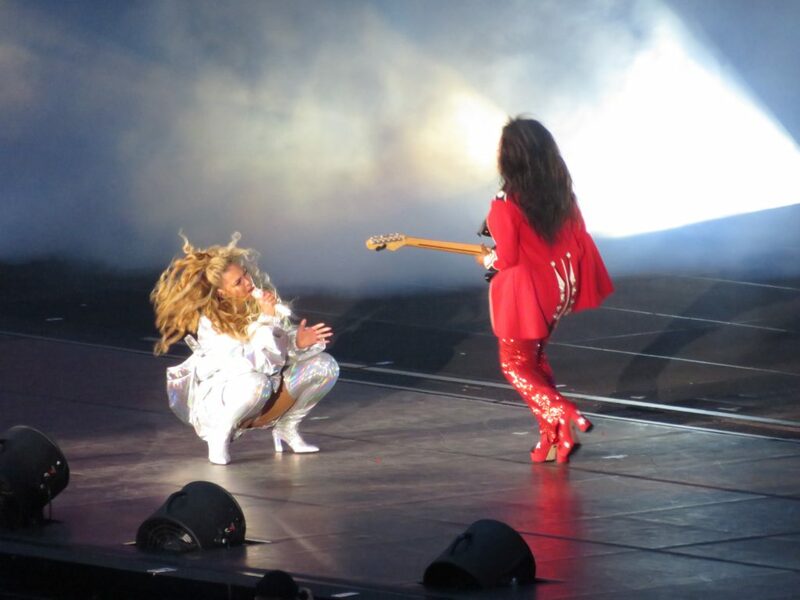 They also joined each other on stage throughout the concert to perform their duets No church In The Wild, Upgrade U, Déjà Vu and Crazy In Love. They closed the show on stage together performing Young Forever, where they mention the Grenfell tragedy, it was a very touching and emotional moment. Occasionally, during the show they showed film footage of some private moments like the renewal of their wedding vows, being with their kids and on holiday. There was also a fictional On The Run mini film that was filmed in Jamaica. It all put together very well, looked great and went with the theme of the show nicely. 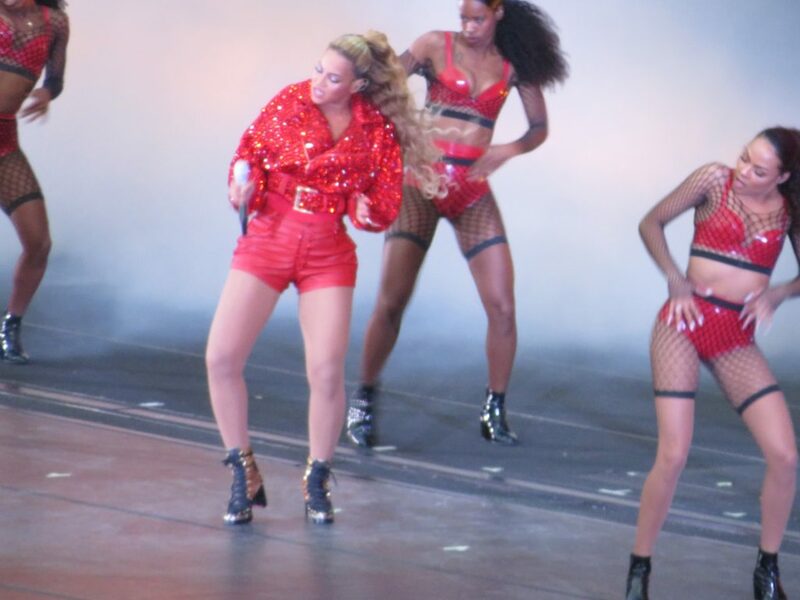 Beyonce, just like the previous two times I have seen her live in concert, gave an amazing performance whether she was on her own or with her backing dancers. 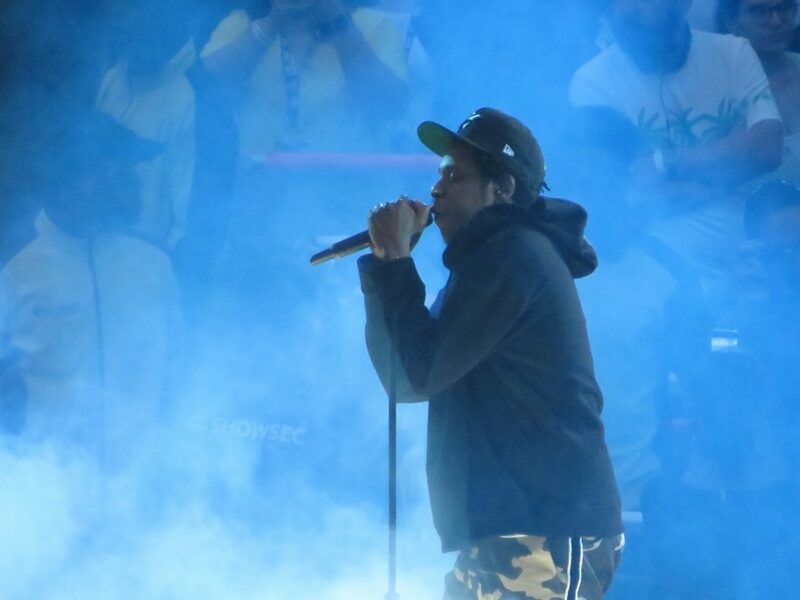 JAY-Z’s solo performance was brilliant and energetic even though it was just him on stage he totally owned it. However, seeing them perform together on stage was special, because with all their ups and downs they clearly love each other and it shows. The only criticism I have, if it is a criticism or maybe it’s more of a preference, but I realised that I prefer concerts held in arenas. I understand when you’re mega stars, doing stadium tours rather than arena tours works best, otherwise you would be doing lots of shows in one city, an arena however is more intimate (from my POV). You are able to connect with the artist more because they can see you and you them (again from my POV). Maybe I am just being a little selfish… I don’t know but I would still go again if I could, even if it was in a stadium. 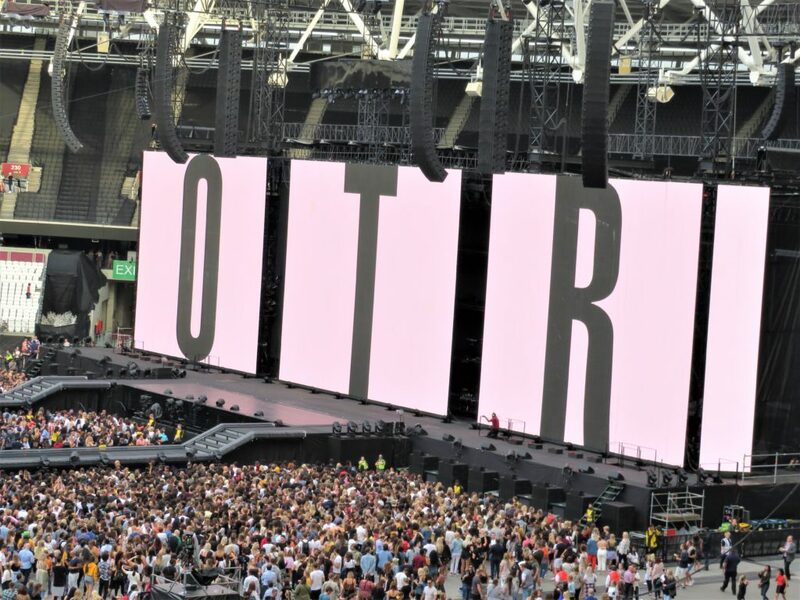 I thoroughly in enjoyed the On The Run II concert. I could have easily watched the two of them for another two and a half hours performing more of their hits. It was a fantastic way to spend a Friday night with my boyfriend. I would definitely recommend buying a ticket to one of the shows, you won’t be disappointed!